The student welfare council serves as bridge between the students and the college. The council assists principal in the successful conduct of curricular, co-curricular and extra- curricular activates. Redressal of the student grievances constitutes the major function of the student welfare council. The student welfare council(SWC) serves as a platform where all members of the student welfare committee meet and come together to table, address, advices and execute matters pertaining to students, be in academic or administrative in nature. A student welfare issue includes student's health, working and study environment, campus environment, equal treatment, diversity, insurance, residences and student finance. In others words things that are not directly related to your studies, but which need to work in order for you be happy and healthy during your study period and to be able to perform well in your studies. Dr. S .S Masali , Principal chairman. 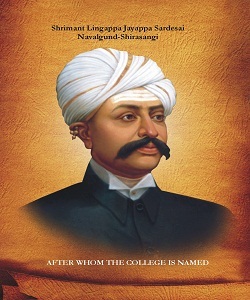 Dr. G. H. Hullepannavarmath , Vice Principal. Prof. C.Rama Rao ( Sports). Shri. S.D. Savadatti ( office staff ). To assist the Principal and advice student at the time of admission to the college. To organize orientation programme for the benefit of new students and provide information about the facilities and opportunities available. To assist the principal in implementing the various financial assistance schemes and scholarships. To help students to overcome their problems through counselling. Redress the grievances of the students. To organize and co-ordinate the activities of various Associations, cells and Forums. To ensure participation of the students in the co-curricular and extracurricular activities. To act as a liaison officer between the College and the Director of Youth Services and Sports, Govt. of Karnataka, the Students welfare Department of the University. Conduct two meeting in a year. Orientation programme for new students. Collecting the feedback and finding suitable solutions. Conducting of seminars, workshops in co-ordination with university, government and NGOs.